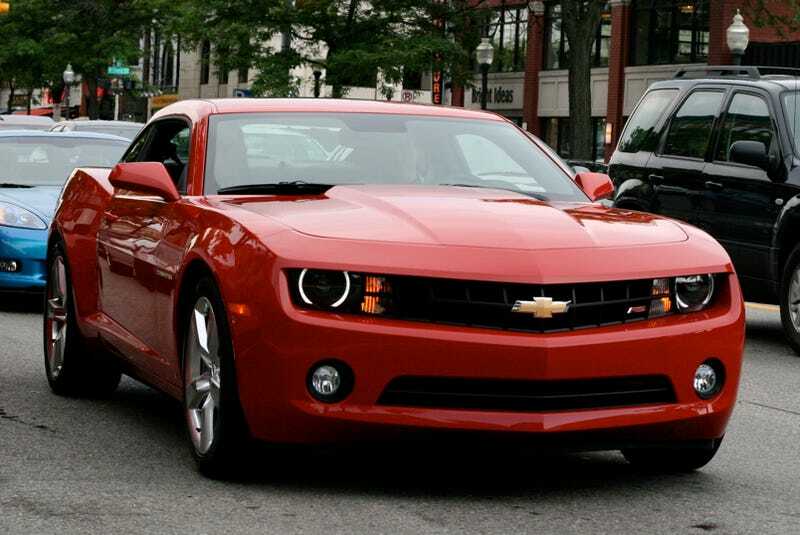 We told you last week the production version of the 2010 Chevy Camaro would be unveiled today. Despite Friday's leakage of most details, GM is proceeding as planned — and so will we. Click here at 4:00 PM to see it live. Update 1:The folks over at 5thGen have posted the PDF with the full specifications for the new Camaro. Photos of the spec sheets below. Update 2:Full specifications including engines and other details now below the jump. Update 3:You've seen the 2010 Chevy Camaro RS in big and clear press shots — now see the most minute details in our 33 photo gallery. First twelve shots above the jump, hit "more" for the rest. Update 4: Our friends at Popular Mechanics were in LA for the West Coast unveil and snapped photos of a yellow RS. Update 5: We have the official press release and press photos here. Update 6: Post-unveil, Chevy drove the production Camaro RS to downtown Royal Oak, MI for dinner — full gallery below. In addition to the live web reveal, we'll also be providing on-the-ground coverage from our team who'll we have based in Warren for the afternoon with all the photos, pomp and circumstance you've come to expect from us. In the meantime, tell us what you'd like to know from the event and we'll try to make your wishes come true.